It is recommended as an additional source of a complex of biologically active compounds of plant origin for supporting of normal functioning of the visual apparatus. Bilberry berries, have extraordinary antioxidative and vasculoprotective properties, provide positive effect on the retina, preventing wear of this highly sensitive tissue and stimulate production of rhodopsin, a photolabile pigment of the retina, increasing its sensitivity to changes in light intensity. Effect of bright light, color contrasts, as well as influence of computer monitor drain the stock of rhodopsin in the eye. Under the influence of anthocyanins capillary fragility is reduced, blood vessels walls are strengthened, their elasticity, as well as cell membranes flexibility are improved, inflammatory process development and clot formation are averted, metabolism at the tissue level is activated, blood supply to the organ of sight is improved; risk of glaucoma development is reduced. Benefit of bilberry consumption for patients with diabetes mellitus is invaluable. It is recommended for patients with diabetes to eat as many berries as possible, as well as to drink bilberry leaves decoction in summer (June-August). In the rest of the seasons, it is of use to make tea of dry leaves and berries, as bilberry helps reducing blood glucose level and stimulating pancreas function. 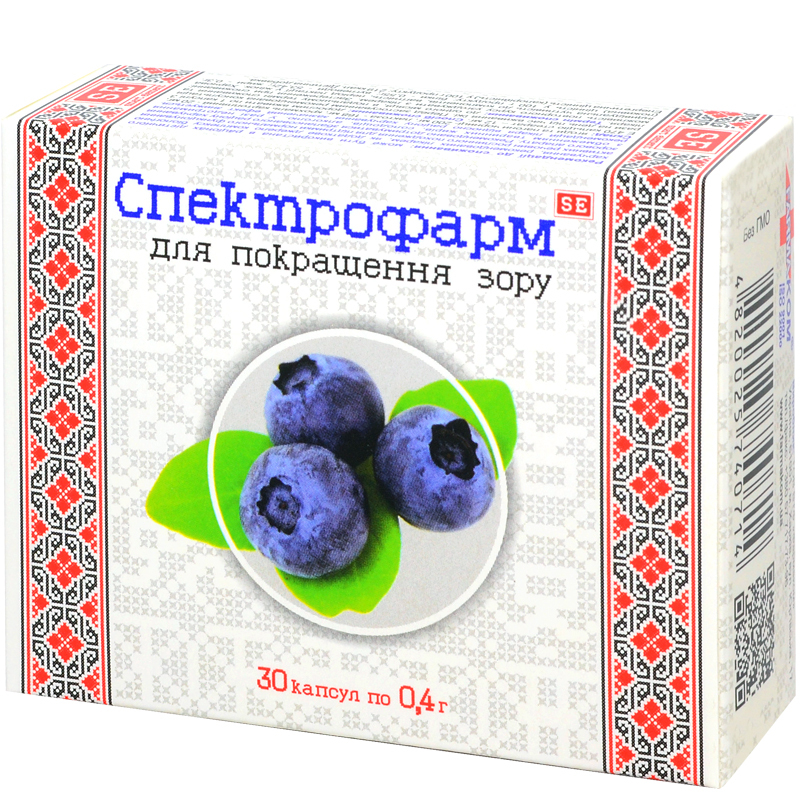 In view of its antibacterial property bilberry is effective in case of inflammations of genitourinary tracts and kidneys. In case or urinolithiasis it is healthy either to eat berries, as well as to drink berries and leaves decoction. According to the latest researches, systematic bilberry consumption helps preserving mental activity and avoiding Alzheimer disease. It is healthy to introduce bilberry to the diet of all, whose work and activity are connected with excess mental workloads. Extensive scientific researches of bilberry’s curative properties showed that prolonged consumption of berries and leaves of this plant slows down ageing process in body. Adults take 1 capsule thrice a day with food. Term of use is up to one month, further the term of use and the possibility of repeated use are to be agreed with a doctor. Proteins – 0.55 g, carbohydrates – 53.42 g, fats 0.3 g.